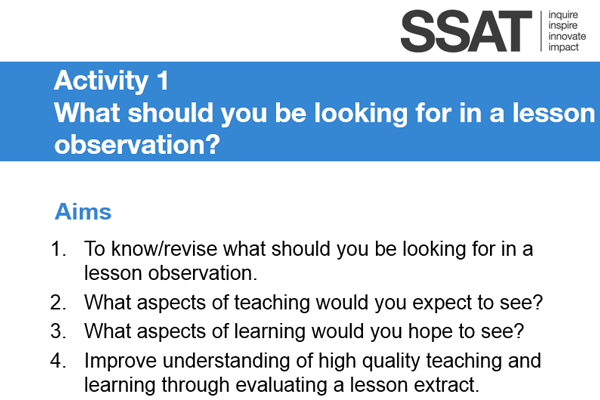 Effective observation of teaching and learning for school improvement is a multi-resource toolkit designed to improve the quality of your teaching and learning through more effective observation practice. 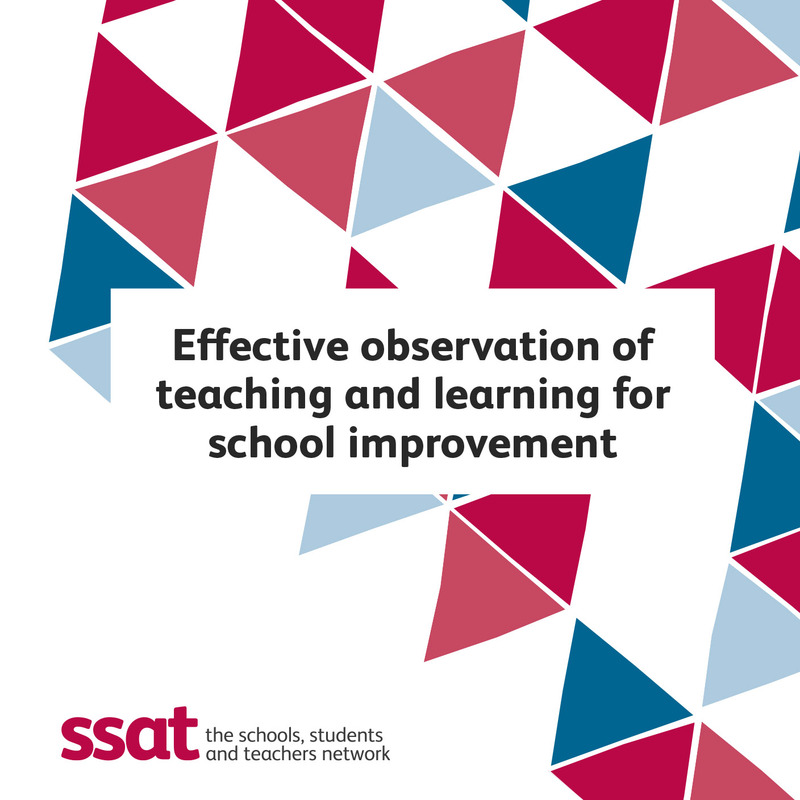 While it will help schools demonstrate their best practice in an inspection, it is much more a resource to help improve outcomes for young people across the school. 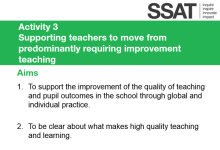 It is ideal for schools at all stages of their development and has been produced in partnership with high-performing schools. 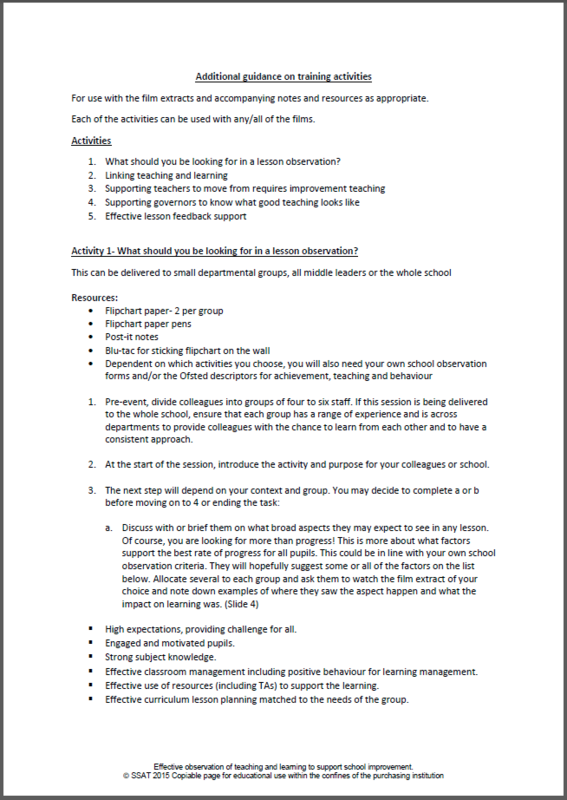 They have shared their extensive experience through a mixture of top tips, exemplar documentation and in-classroom films. Each film is accompanied by a written commentary outlining lesson strengths and possible areas for development. 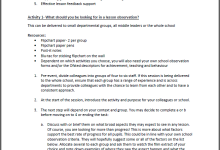 Accompanying the school leader and teacher contributions are a series of training activities on the purpose of classroom evaluation and best practice, suitable for all members of staff from trainee teachers to school governors. These can be used with whole-staff or smaller groups as required, either starting on a training day or as part of a continuing professional development programme. Each activity includes a Microsoft PowerPoint presentation and full presenter notes. • Teaching is outstanding. Teachers have high expectations, strong subject knowledge and match planned learning activities to the needs of different groups of students. 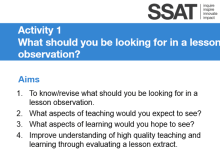 They know how well students are doing during lessons and adapt their teaching as necessary. These and other features ensure that students make excellent progress. 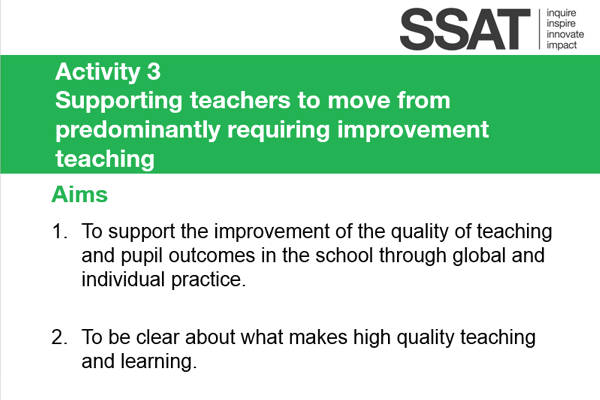 • Teachers say they are continuously improving their teaching because the school provides frequent, high quality training and support. • Students’ behaviour and attitudes to learning are exemplary. Students show high levels of maturity and engagement both in lessons and in the additional curriculum activities. • Teaching is outstanding. Teachers carefully plan lessons that are very well matched to the needs of all their students, regardless of ability. They also use every opportunity to raise the confidence and self-esteem of all students so that they become successful learners. Postage is free to UK addresses. There is a £10 surcharge for international orders.